A two-time Olympic Silver medalist, seven-time IIHF World Champion and arguably the best female hockey player in the world. Changing the landscape for female athletes across all sports, making history as the first female skater (non-goalie) to practice with an NHL team. Hilary grew up in a skiing household with parents who had never ice skated. She was on skis at the age of two, but when she turned five, her family moved to Chicago and she began playing ice hockey. Her three younger brothers all played hockey and helped her hone her skills growing up. At five years old, Hilary told her grandmother she was going to play ice hockey in the Olympics. Her grandma expressed her concerns and told Hilary that girls don't play hockey. Hilary's mom, Cynthia, responded, "Get with the times. Hilary plays hockey." 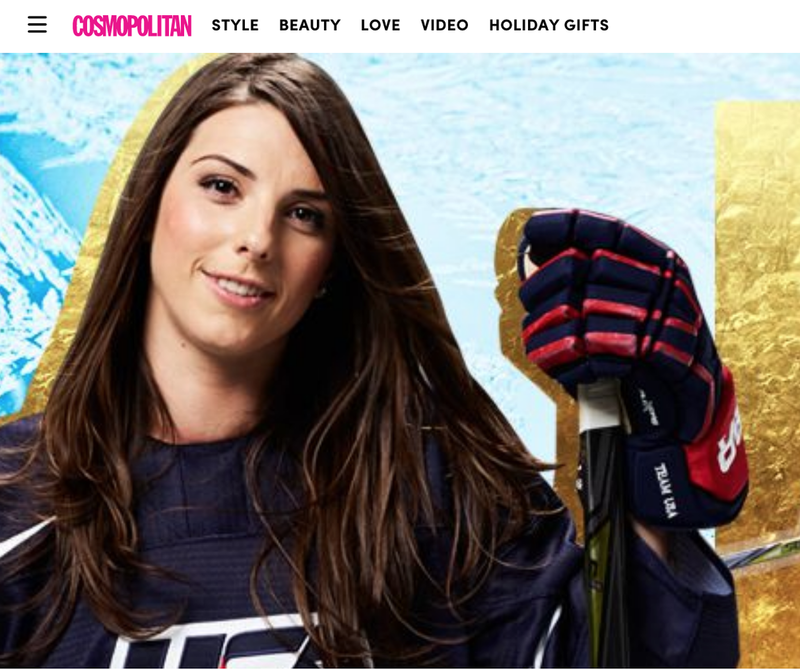 In 2014, Hilary helped lead Team USA to a Silver Medal at the Sochi Olympics, where was named to the media all-star team in addition to being named the Bob Allen’s Player of the Year for Women’s Hockey. That same year, through ESPN Magazine’s “The Body Issue,” Hilary shattered the idea that that muscular isn’t feminine, and spoke out on behalf of women all over the world. As part of Team USA, Hilary continue to help lead the team to Gold at the 2015, 2016, and 2017 IIHF World Championships. She scored the game-winning goal in overtime in the 2017 IIHF Gold Medal game against Canada, played on home soil in Minnesota. Hilary was a critical and powerful voice in the US Women’s National Team’s fight for equal pay in the spring of 2017, only a few weeks before the IIHF World Championships. Hilary continues the conversation for equitable pay support across all sports. Her impact on women’s sports has created an opportunity for women and girls everywhere to step up and compete.